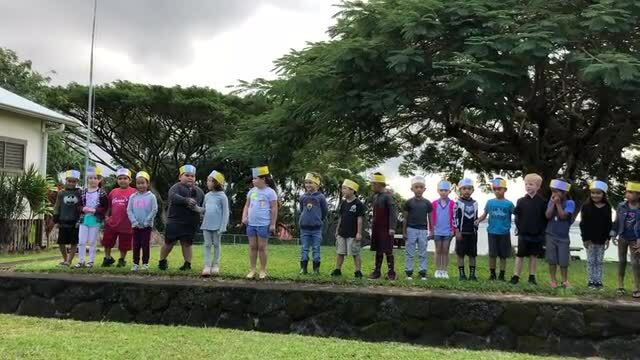 Last quarter we were fortunate to have Mr. Delson work with us to share our understanding of Ho'ihi with our peers. 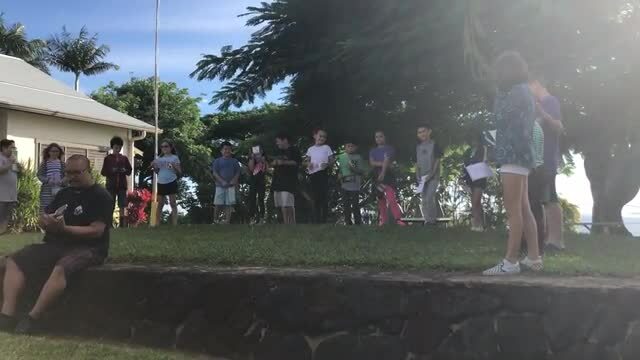 Mr. Delson rewrote Lean on Me to represent the elements of Ho'ihi, and we practiced with him and his ukulele. 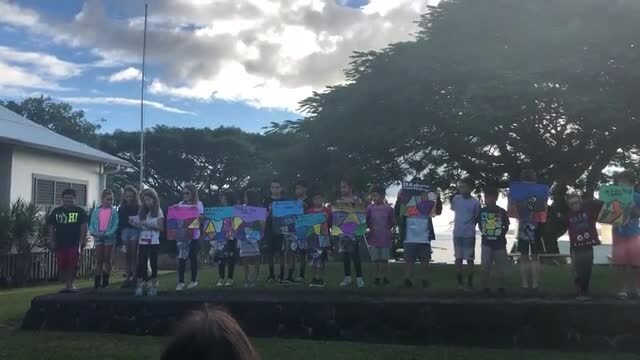 The final presentation was amazing! 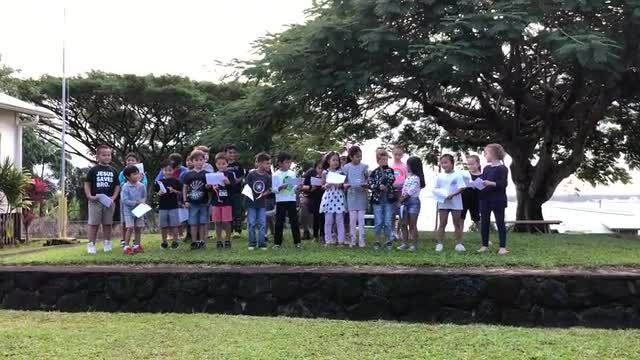 Our wonderful students created a challenge for the school for Hawaiian Core Value this quarter. We spent 5 minutes every afternoon picking up any trash we could find on the grounds of our campus for a week. We then created posters that could double as trash receptacles to hang up around campus. 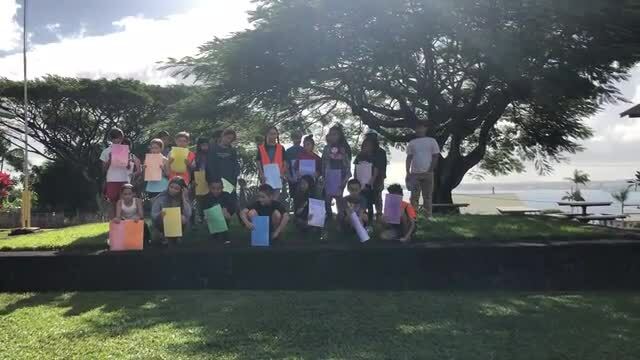 On presentation day the students shared what we had been able to collect, and challenged the rest of the school to join us for another week in keeping our campus clean- showing kuleana for our community and our own opala. For the next week the students emptied the trash posters and kept track of our school's total trash collection- more than two trash bags full!